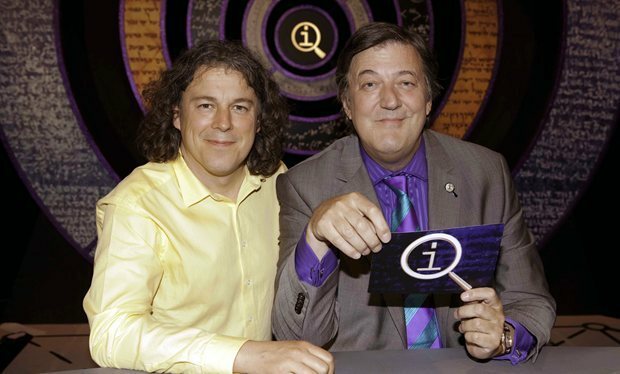 The BBC have announced Stephen Fry is to leave QI After more than 180 barnstorming episodes of the much-loved panel show, Stephen Fry has announced his retirement halfway through the alphabet. The upcoming ‘M’ series will be his last. Stephen Fry comments: "For 13 years I had one of the best jobs on television. Behind the camera, squadrons of quite extraordinarily brilliant researchers, programme-makers and uniquely curious (in both senses of the word) people making that job so much easier. In front of the camera, generations of lively minds and above all, of course, the wonder of nature that is Alan Davies. After passing the alphabetical halfway mark I thought it time to move on, but I will never cease to be grateful to John Lloyd for devising QI and for everyone else for making it such fun." Stephen’s place will be taken by his old friend and university contemporary Sandi Toksvig OBE, the Danish-born writer, presenter, actor and comic, who herself stepped down earlier this year after a dazzling 10-year run as chair of Radio Four’s The News Quiz. Alan Davies will continue as QI’s resident panellist and genial fall guy. Sandi Toksvig says: "QI is my favourite television programme both to watch and to be on, so this is absolutely my dream job. (My Nordic background also makes me keen to spend time with the Elves.) Stephen has been utterly brilliant with the first half of the alphabet. Now I look forward to picking up the baton, mixing my metaphors and sailing towards the Land of Nod (ie Z). Who knows what lies ahead? It should all be quite interesting." John Lloyd comments: "Stephen’s departure is the end of an era. It’s been a thoroughly delightful experience. After more than 40 years in broadcasting, QI has been by far the most enjoyable show it has been my privilege to produce, and Stephen has been its big, beating heart. Though we are all very sad he’s decided to move on, I am confident that we have found the perfect person to occupy his gigantic shoes. Sandi will be the first female host of a mainstream comedy panel show on British television – an appointment that is well overdue." Kim Shillinglaw, Controller of BBC Two and BBC Four, comments: "My huge thanks to Stephen Fry, who has presented QI for 13 fantastic years, and I’m delighted to welcome the wonderful Sandi Toksvig to the show; she is exactly the kind of bright, brilliant company I want to see on BBC Two." Stephen's final series begins Friday at 10.00pm on BBC Two.